If you’ve never made a simple syrup before, it’s easy. Just add 1 part sugar to 1 part water in a saucepan and bring to a boil, stirring to dissolve the sugar. Remove from heat and let cool. You can make endless variations by adding fresh herbs, tea, vanilla beans, etc. After making lavender macarons, I’ve become enamored with all things lavender and decided to make a lavender syrup to add to champagne for a fun cocktail at my 30th birthday party. This might sound melodramatic, but I’m not sure I can drink champagne plain ever again. 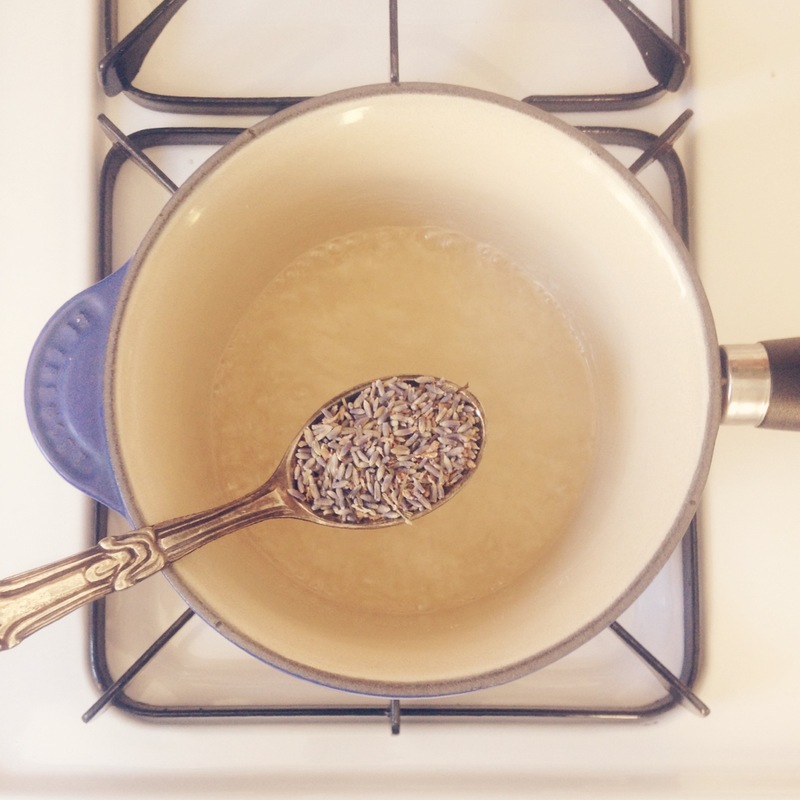 I’ve made this lavender syrup twice and can’t wait for the next occasion to drink champagne! Here’s the recipe: bring 1/2 cup sugar and 1/2 cup water to a boil in a saucepan, stirring to dissolve sugar. Stir in dried lavender. Remove from heat and let cool completely before straining out lavender. Refrigerate syrup until ready to serve. Add a teaspoon or two to taste per glass of champagne. You can get dried lavender buds at specialty food stores; for LA-locals, I got mine at Bay Cities in Santa Monica! I’ve only recently discovered how easy it is to make delicious simple syrups. Just yesterday I made a “mojito” simple syrup, by which I mean I put lime zest and mint leaves into it. Tastes great when mixed into some yerba mate. I can’t wait to try your recipe!